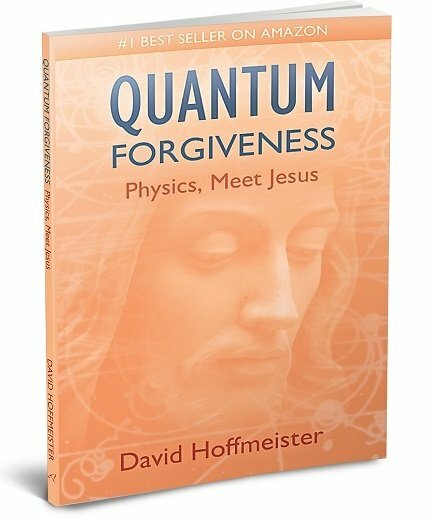 We hope you enjoy this two-chapter excerpt from Quantum Forgiveness: Physics, Meet Jesus. The practical implications of Quantum Forgiveness are immense! Using seven modern-day movies as teaching examples, David Hoffmeister guides us through time and space to a Holy Instant that ends pain and suffering. If we open to what this book has to share and apply it in our daily life, we need never again fear being wrong, strive to create a better life, or compromise ourselves by trying to adapt to a false idea of who we are or what the world is. Instead, we will relinquish expectations and come into a limitless sense of pure potential without concern or criticism. Clueless and cared for, we will experience the true nature of Reality and flow through our world as a happy dreamer—relieved of false responsibility, yet still truly helpful!"